This is a pink boutique style bow that has a Brown Velvet Gerbera Daisy attached on top. 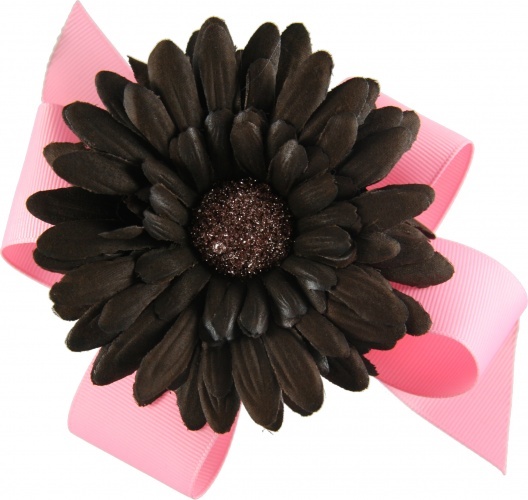 The Daisy has it's on alligator clip attached to it so it can easily slide on and off the pink base bow and be worn individually. The pink base bow also has it's own French clip.